Surveillance is a harsh truth of the society we live in. Whether we like it or not, our privacies have been invaded in any way possible. No matter we buy anything, search for anything or watch anything, all the data is being recorded in one way or another. It is surprising to note that the process of data mining generates billions of dollars on a yearly basis. There has been a lot of debate going on, but the results of these arguments are far from satisfactory. The NSA is always going to be hangover you like a dead goose. Having said this, here are the 5 weird and shocking things that are being deployed for surveillance. Lady Liberty is watching you at all times. You might not be aware about this, but there are a number of surveillance software that have been installed inside the fair lady. Video scanning, face recognition and other recording software and technologies have been fitted inside the statue. Although the statue serves a symbol of liberty, but in reality, there is no liberty. No matter what you select from the vending machine, they always record your behaviour. Yes, your preferences are being watched by the machine. It should also be noted that the machine even watched Captain America hide the device behind some chips brand. In a number of regions, vending machine robbery crimes have been solved using the recordings. This motion sending console might be famous all over the world, but what most people don’t know is that it can record every single word or conversation, even when you are not using it. Yes, it can do all of that. You might think of it as a harmless motion sending device, but trust me, you have no idea about what it can do. Microsoft claims that the device does not records anything, but it can record one’s heartbeat and recognize different voices. Now it is clear that there is something creepy about the device. Verizon has patented a large number of boxes and devices that record your behaviour while you watch this show. It is all done through the cable box which most of you might consider harmless. So whenever you feel high while watching any part of the show, be aware that you are being watched. The city watches you at all times. There are a number of devices that are being made which will be able to record the activity of literally any person. 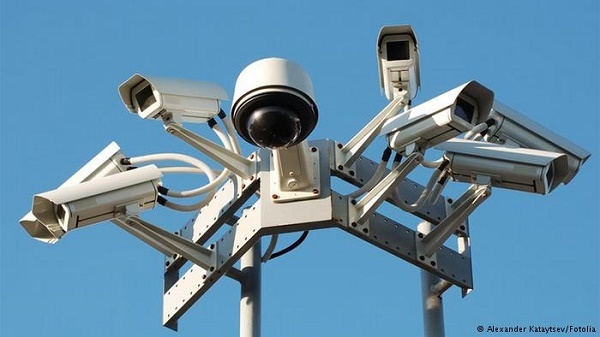 The surveillance devices will be installed at all major intersections and areas. So no matter what you do, Seattle will be seeing you.